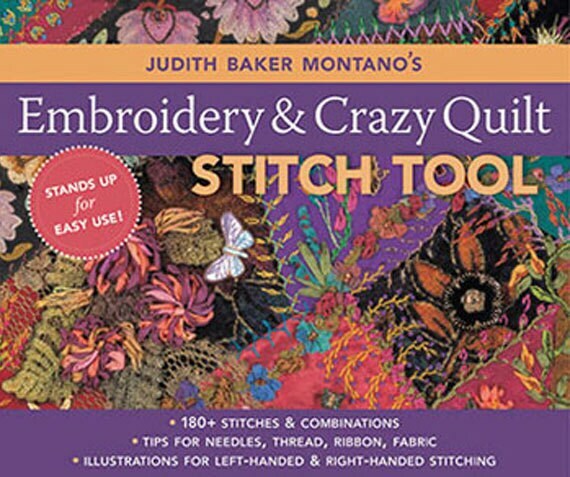 Embroidery and Crazy Quilt Stitch Tool by Judith Baker Montano is a wonderful edition to any needlework library. This book has clear and concise instructions for 180+ stitches and combinations along with tips for needles thread, ribbon, and fabric. It stands up for easy use as your stitching away. Been waiting a long time to find this book. Shipped on time. Love it.